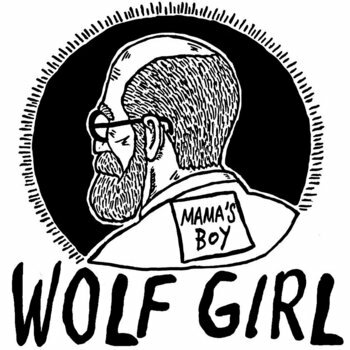 May I introduce Wolf Girl, a South London four-piece consisting of Chris, Carl, Becky, and Christabel? 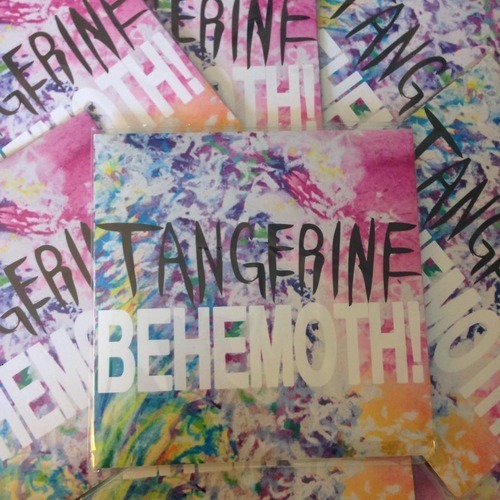 They make incredibly infectious garage pop with male/female vocals, high energy, and wit. There are jagged edges, and maybe even some jagged hearts, but the doo wop choruses hook you in and the vein of sugar binds it all together. Their art is getting an official physical release via the cassette version of the five-track Mama's Boy EP. Opener "Good For Nothing" and the following "Freudian Slips are racing twee at a punk pace. "I Will Be" is a very sweet '60s-style nugget. Rocking out in garage mode is the game plan for "Hear In Your Head". The record's closing song, "Sampson", is the only song to break the two minute mark, and the only one that doesn't race at full speed. But while all the tracks are good, "Sampson" also is the track that one might point to in predicting that Wolf Girl is a band that will have much to offer us in the future. The Mama's Boy cassettes will be available from Soft Power Records. Although the release date is November 17, the release is limited to 100 copies, and a record this good is likely to be snapped up in the pre-order stage. Buy yourself a copy, wrap it in Christmas paper with your name on it, and sign "a secret admirer". "Have You Seen Your Mother, Baby, Standing in the Shadow" has always been a guilty pleasure for me. It feels a bit tossed off, I have no idea what it's about, and overall it is not a great Stones song. The Stones themselves reportedly didn't like the final mix and believe the rhythm tracks got watered down to the song's detriment. 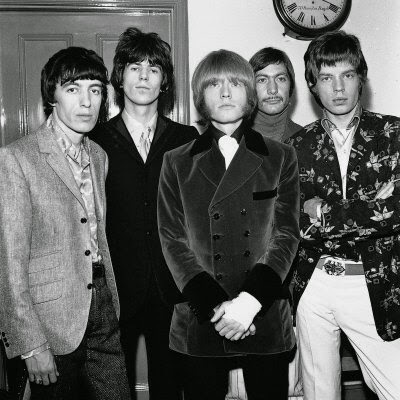 But regardless, I like the rumbling feel of the song, the horn lines (it's the first Stones song with horns) and the overall psychedelic vibe. And it's just catchy as can be and sounds great. Please don't tell Sydney's Los Tones that the '60s are over. Please. 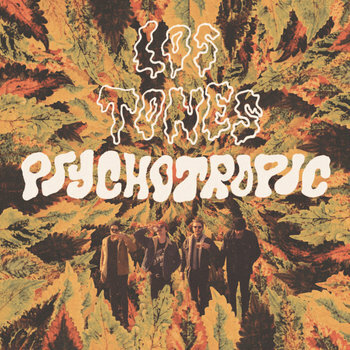 Their brand of bluesy, psychedelic, surfy garage rock is perfect for ears that crave such sounds -- like mine. And now that the band has given us Psychotropic -- a full LP of the delicious stuff -- we can band together to protect this treasure and keep the pipeline going. We can do it -- don't mention the date! This is dirty, gritty, primal garage, the stuff you fell in love with when you first heard The Sonics' belt out "Psycho", "The Witch", or "Strychnine". The band has released singles previously, some of which were featured here, but I believe that Psychotropic is their debut album. It is available in digital, CD and vinyl versions. All versions can be sourced, and the entire album streamed, via the Bandcamp link below. Los Tones are Bodie (guitar/vocals), Shaun (bass/vocals), Leigh (drums/vocals), and Nick (guitar/vocals). They recently completed a European tour. When, the latest album from Costa Mesa, California's Tomorrows Tulips, is raw and lo-fi, with a '90s fuzz rock core and hints of glam and slow rock. At times is sounds like a recently discovered trove of acoustic demos from the Velvet Underground or The Jesus and Mary Chain. Perhaps the vibe could be called 'garage rock on codeine'. I'm not going to pretend that everyone will read that description and exclaim "oh goody, that's for me". It is, however, something I like. The guitar tones are just right, and for me the album appealingly matches raw emotions with a raw sound. The album begins with "Baby", a 1:11 garage glam burst. The following "Surplus Store" is a throbbing mid-tempo song that manages to bounce along while creating a bummer atmosphere. "Laying in the Sun" dials down proceedings another notch at the beginning, but offers a pleasing vocal hook. Then it turns electric before returning to acoustic, while remaining languid. Following tracks include rumbling lo-fi electric songs (for example, "When") and atmospheric acoustic tunes. Some songs, such as "Favorite Episode", offer both. For my tastes, "I Lay in My Bed" and "Glued to You", and "Plan It Peace" work the best, perhaps because they all remind me of TJAMC's The Power of Negative Thinking. Tomorrows Tulips doesn't invent anything here, and their songs won't change your world. And of course, it was never their intent to do so. But I expect that they made the songs they wanted to make, and I'm happy to have them. For me, after the opening track, the second half of the album is better than the first, but your experience may not be the same. When was released on October 7 via Burger Records in the US, Strange Yonder in Australia and Ayo Silver in Europe. Austin's Shivery Shakes are a breath of fresh air -- their Three Waves & A Shake delivers a bit of jangle, a bit of twang, a bit of roots rock, a bit of surf, and plenty of reverb and polish. Although the lyrical content nestled in the nostalgic chords re-imagined for the slacker world can defy the happy sound, the songs bounce along with buoyant bass and energetic drumming. So while someone might cry to the heartache and #youngguysproblems, it probably won't be the listeners. In style of composition, the band seems to borrow a bit from fellow Texans Roy Orbison, Buddy Holly, and Britt Daniel of Spoon, while coming across as an imitator of no one. And given the quality of the songs, I think Roy, Buddy and Britt would be proud to be listed as influences. As there are no filler tracks, everyone may have different favorites, but for me, "Hold On", the jangling "Remember When", and the '60s flavored "Summer Lover". So play the tracks below and stream the entire album at the Bandcamp link. I suggest that you may be prompted to hold on to summer a bit longer by buying piece of The Shivery Shakes. The Shivery Shakes are William Glossup (vocals/guitar/bass/piano/vibes), Marcus Haddon (vocals/percussion), Andrew Penmer (bass) and Jack Thorton. Three Waves & A Shake is out now via Punctum Records and Austin Town Hall Records. The boys are touring a bit in November; the dates are listed at the bottom of this post.